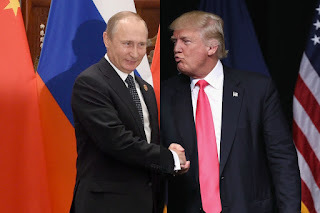 Helsinki, Finland - "So happy to see you baby"
With sharp statements that underscored a deep disconnect between the president and his party's orthodoxy in dealing with Russia, GOP lawmakers condemned Donald Trump's apparent appeasement of Vladimir Putin in Helsinki on Monday. After President Trump undermined U.S. intelligence and Justice Department officials by calling the Russian president "extremely strong and powerful in his denial" of interference in the 2016 presidential election, a substantial number of his fellow Republicans distanced themselves from his assessment. House Speaker Paul Ryan said, "There is no moral equivalence between the United States and Russia, which remains hostile to our most basic values and ideals." Sen. John McCain called the Trump-Putin press conference "one of the most disgraceful performances by an American president in memory." Foreign Relations Committee Chairman Bob Corker said Putin was likely celebrating with caviar. North Carolina Rep. Walter Jones said that "the ghost of Ronald Reagan must be in shock." 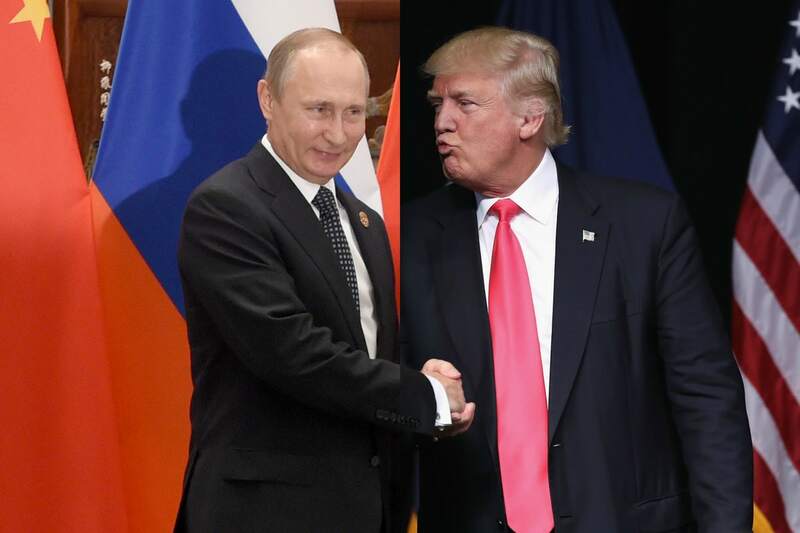 Read more: Trump Feels GOP Heat on Putin, But Will It Linger?